Beautiful Brighton Place home located in the heart of Vista. This home shows like new. Quality construction. The entire first floor has been freshly painted. Ready to move in! Beautiful hardwood floors and travertine tile. New top of the line Samsung kitchen appliances are included. Granite counters throughout. Fireplace in the family room. Huge Master Suite. Large loft upstairs that can easily be converted to another large bedroom. The entire house is spacious and inviting. But wait! Check out the amazinBeautiful Brighton Place home located in the heart of Vista. This home shows like new. Quality construction. The entire first floor has been freshly painted. Ready to move in! Beautiful hardwood floors and travertine tile. New top of the line Samsung kitchen appliances are included. Granite counters throughout. Fireplace in the family room. Huge Master Suite. Large loft upstairs that can easily be converted to another large bedroom. The entire house is spacious and inviting. But wait! Check out the amazing backyard fully professionally landscaped with a built in BBQ and fire pit. All of the trees and bushes are fully mature and lush. Two large fruit producing Loquat trees. So delicious! 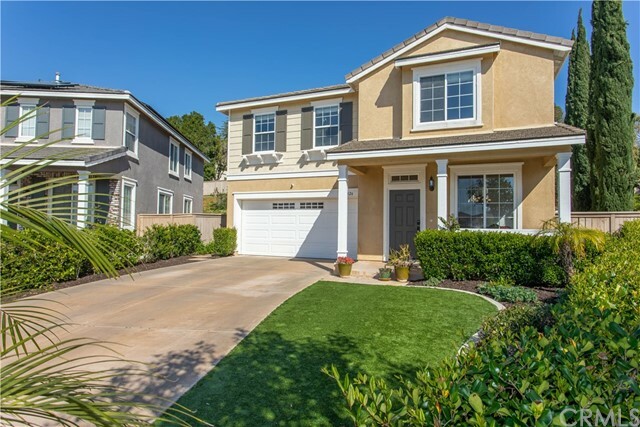 Enjoy all that Vista has to offer and your family can easily reach the beach via the 76 and San Diego via the 15. This home is ready for your family!